Yesterday was Earth Day. The forsythia finally bloomed. The squirrels raided the birdfeeder and deer raided my hosta garden. And while I went out for a walk with my camera, environmental activist Sandra Steingraber spent the day reflecting. Because, as you may remember, she was arrested for trespass during a protest of Inergy’s gas storage facility on Senaca Lake and has been spending her nights at the Chemung County Jail. 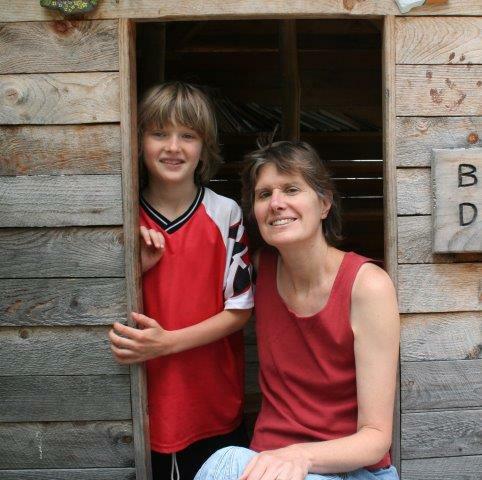 Sandra is a passionate advocate for protecting the earth for our children and their children. This is the second letter she sent from the Chemung County Jail. The best way to deal with jail is to exude patience, and wrap it around a core of resolve and surrender. According to New York state law, all inmates upon arrival are isolated from the general population until they are tested for tuberculosis and that test comes back negative. Typically, that takes three days. Isolation means you are locked inside your cell with no access to the phone (the phone for cell block D happens to be located, tantalizingly, four feet from my bars - just out of reach); no access to books (the two books I have in my cell, lent to me by an empathetic inmate, are the Bible and Nora Roberts’ Carolina Moon, which is a 470-page paperback whose opening sentence is, “She woke in the body of a dead friend.”); and, of course, no access to wi fi, cell phones, e-mail or the internet.